Hippotion celerio — “Vine-hawkmoth” | Welcome, visitor! 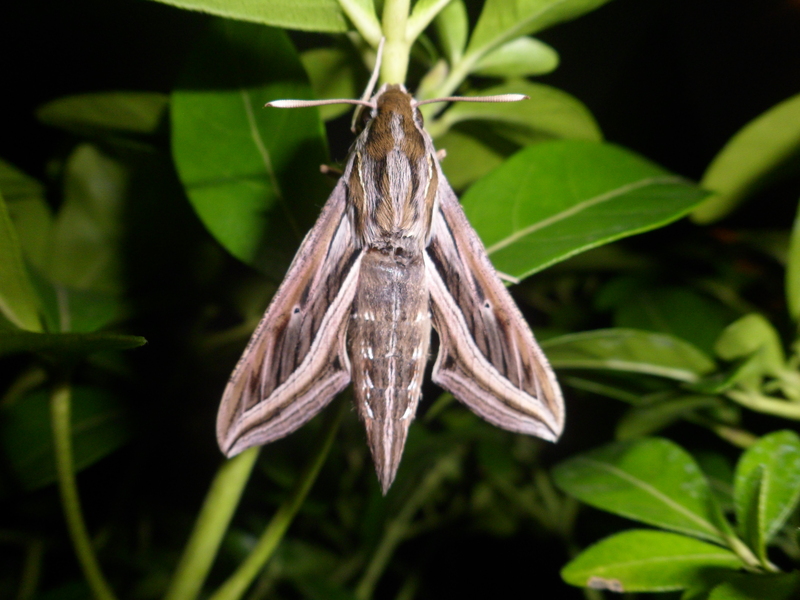 Hippotion celerio, also known as the “vine-hawkmoth” or “silver-lined hawkmoth” is a peculiar little hawkmoth originating from Africa and Asia. They have excellent flight capabilities and are often found migrating to parts of Australia and Europe, where they are able to establish populations. While most Sphingidae (hawkmoths) have trouble adapting to the conditions in captivity, Hippotion celerio is one of the hawkmoths that excels in captivity. If kept properly, independent feeding behaviour can be observed in captivity; the adults are quick to pair and produce a large amount of eggs (75-150+ per female). The lifespan of the adults can be extended by proper feeding. 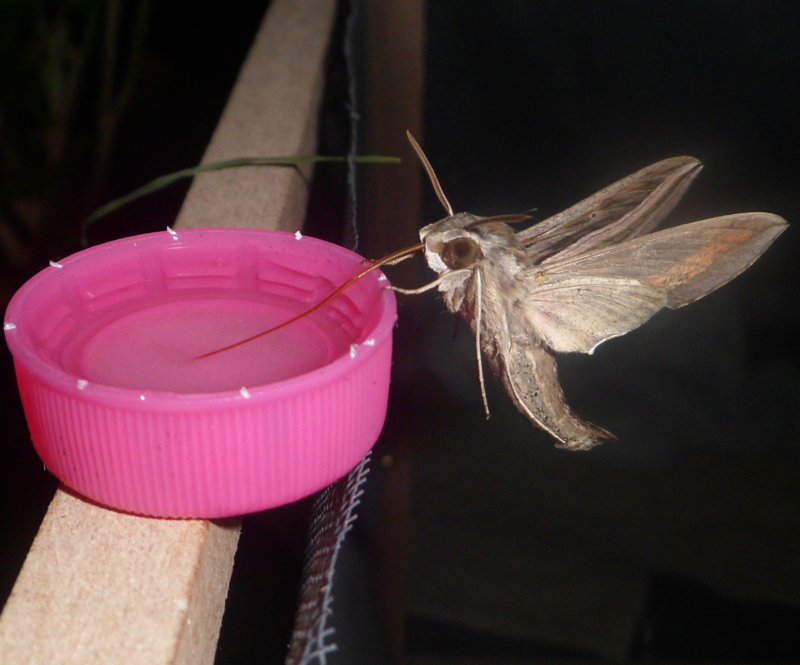 Hippotion celerio feeding in captivity from bottle caps with sugar/honey/water solutions; even better are artificial or real flowers that the moths will easily seek out. During the day, the moths can be observed resting – but the activity starts during dusk, in low light conditions. In the early evening the moths will become active and are concerned with feeding. As time passes and the intensity of the daylight diminishes, the moths become more interested in pairing and will often quickly pair up after sundown to midnight. For the adults to be able to pair, they need to be a few days old ideally; freshly emerged moths have little interest in pairing. This species may be a “pest” (though I am reluctant to use this term) in grape fields, for they accept Vitis sp. (Grapevine) as host plant. Other host plants include Epilobium (willowherb), Fuchsia (Fuchsia), Parthenocissus (Virginia creeper), and other related vines such as Cissus. Notable is that in captivity, this species may also be reared on lettuce! 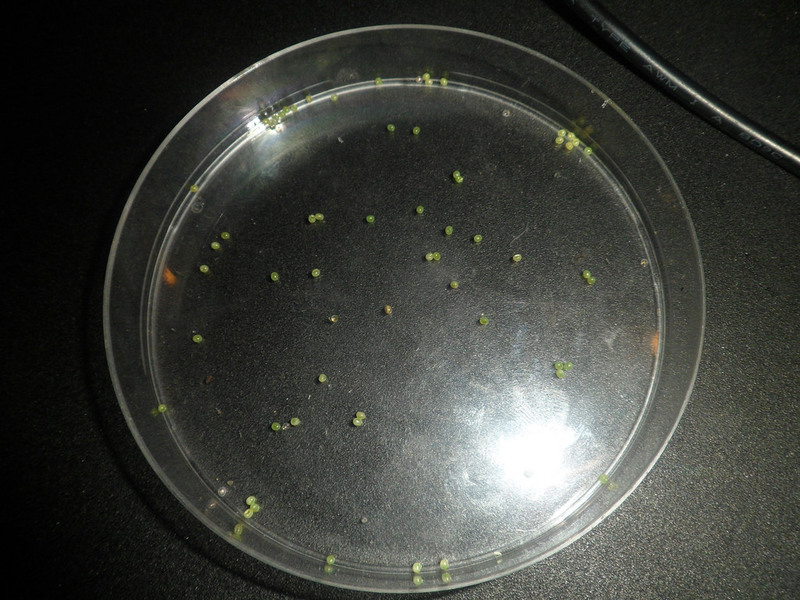 The eggs are tiny, green and a bit transparent and are laid plentiful. They will hatch relatively fast, in about a week (or less!). In hot conditions, the eggs can hatch as soon as in 5 days time; in colder conditions it takes longer, up to 8+ days. The emerging caterpillars will want to feed on Parthenocissus, Vitis, Fuchsia, Epilobium, Cissus and more – personally, I always use Vitis vinifera (grapevine) to breed Hippotion celerio. After feeding for multiple weeks and reaching the final instar, the caterpillars will burrow in the earth, and build a hollow subterranean chamber to pupate in. 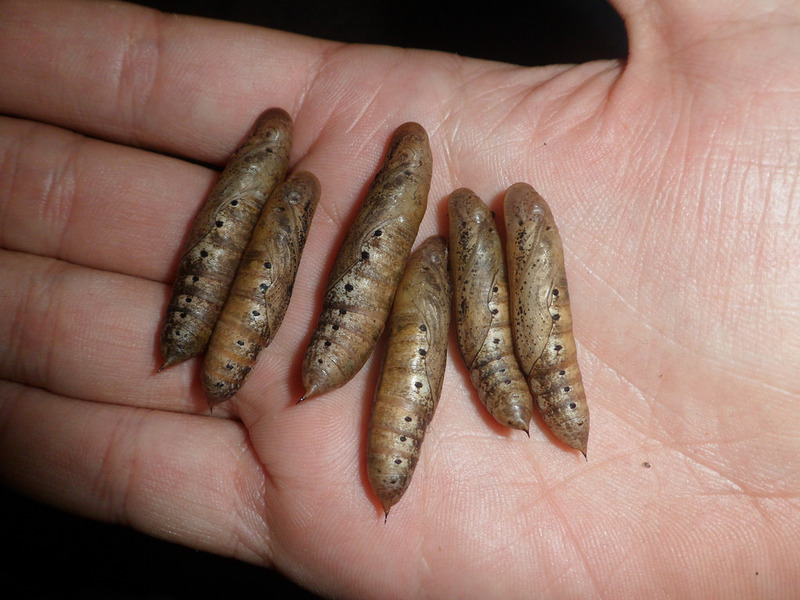 The pupae are long, thin and silvery grey. 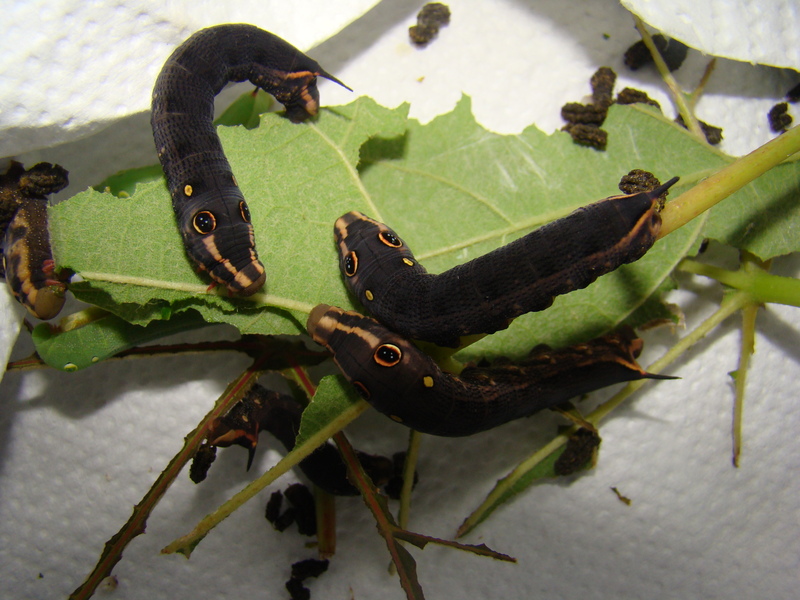 The caterpillars are variable in colour and have light (green) and dark (brown) forms. In captivity it is best to provide them soil or shredded paper towel; they will build a subterranean chamber and pupate in it. Hippotion celerio is one of the easiest Sphingidae to breed and very interesting to see in captivity. They can also pupae in tissues. I provided them a whole 200lt tank of soild filled 1/4 of the way and they desided that tissue paper was better :). Can you please help me and tell me is it the female or the male of this species is bigger?